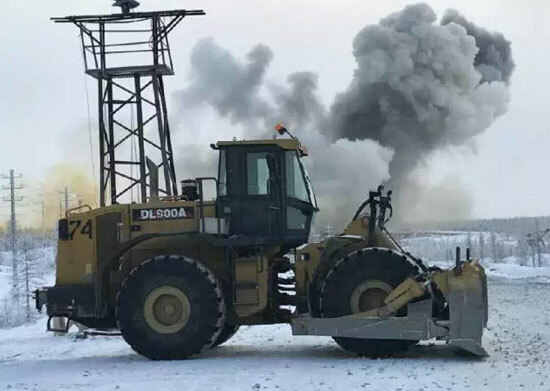 Arctic region, Russia – August 16, 2017 – In the largest open-pit mine of Russia, the loaders with the largest tonnage in China – XCMG LW1200K and two wheeled bulldozers XCMG DL900A have been working for over 20,000 hours without breaking down in the freezing-cold environment. 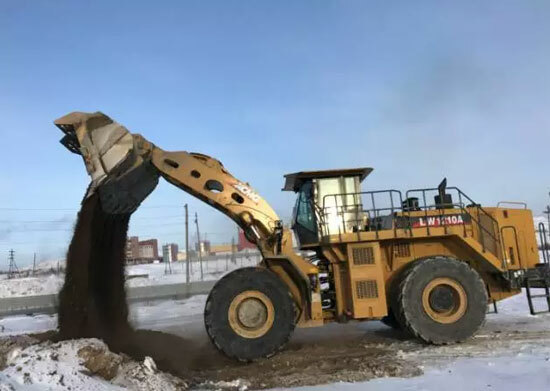 The performance of XCMG loaders and wheeled bulldozers has earned trust and recognition from Russian customers relying on its merits such as strong structure, dynamic driving force, stability and reliability, energy-saving capability, high effectiveness and perfect adaptability to extremely cold weather. 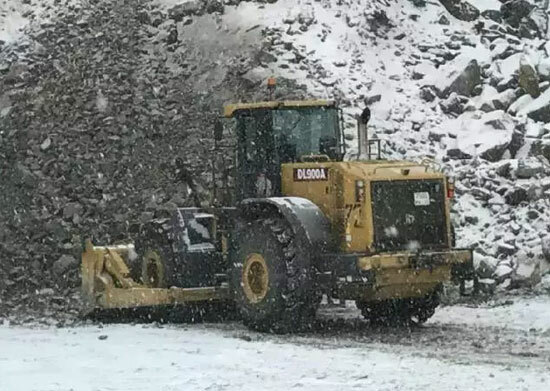 The extremely cold weather poses daunting challenges to the operation of construction machinery. Moreover, mining companies are hoping to find ways to increase the equipment yields and at the same time, reduce their costs. The leading technology and everlasting quality of XCMG products perfectly fits the needs of mining companies. “XCMG has become our priority choice as we realized that the company could customize integrated products based upon actual working conditions and other specific requests” said the manager of the mining company. He came all the way to China to carry out on-spot investigation at XCMG intelligent manufacturing base. After a thorough observation and investigation, he finally chose XCMG without any hesitation. Facts prove that XCMG loaders did not let him down. The everlasting quality, excellent performance, efficiency, parts accessibility and service satisfaction of XCMG products have been far beyond their expectation. “Upon driving XCMG loader, the most intuitive feeling is the large cab space, wide vision, good tightness and low noise”, claimed by the operator of XCMG LW1200K loader. “At present, this vehicle has been working for over 20,000 hours. The 6.5m³ heavy-duty bucket equipped on LW1200K helped to make the stripping much easier with higher efficiency. In addition, the heavy-duty bucket teeth and side cutters enhanced the bucket’s abrasive resistance as well. 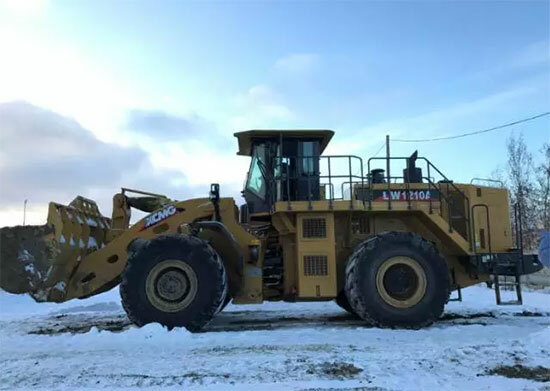 Especially the long wheelbase and heavy-load design, targeting the working condition in North Pole by XCMG, relieved us most upon facing any harsh situation”. He elaborated on the details of the first loader from China on the mine with much delight. As the equipment purchaser and actual equipment operator of the mine, it possessed abundant experience in managing construction machinery equipment. In their opinion, the most satisfaction of XCMG loaders lies in fewer malfunctions, timely services and fuel efficiency. “Timely after-sales services indicate that our equipment will not stop working due to malfunction. And lower cost in fuel brings us smaller investment and higher revenue”, said relevant people in charge. 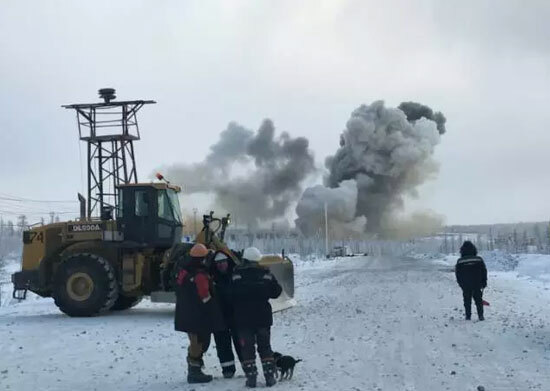 Over 20000 hours have passed, the three loaders of XCMG withstood the harsh environment in Russia’s largest open-pit in the Arctic. 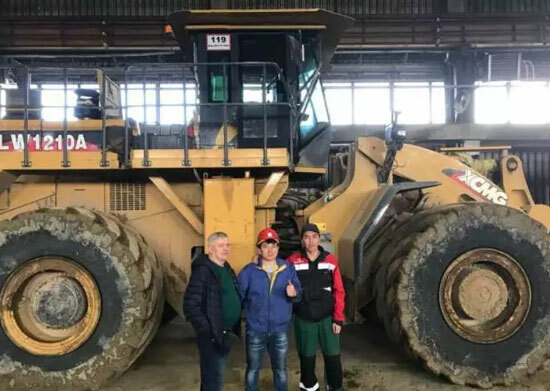 Their continuous demonstration of high character, quality, performance, stability, fuel economy, maintainability and other advantages have been praised by all the staff in the mining area.